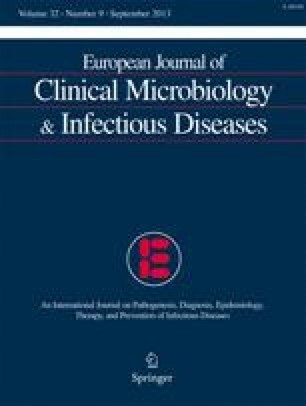 The performance of eight commercially available EIA kits in detecting antibody toHelicobacter pylori was evaluated by a panel of 17 laboratories using serum from 59 patients selected from endoscopy clinics in Belgium, Ireland, Italy, the Netherlands and Switzerland. Each laboratory received a randomly numbered set of sera and was ignorant of the culture results of the patients. The performance of the kits was assessed in terms of diagnostic accuracy compared to culture (measured by sensitivity and specificity), the interlaboratory variability in diagnostic accuracy and the number of laboratories that experienced problems in using the kits. Grey zone results, which are routinely used to highlight the uncertain interpretation of results that lie near the cut-off point between positive and negative diagnoses, were accounted for in the analysis. Laboratories experienced practical problems in using some kits, whilst other kits were found to have high inter-laboratory variation or low diagnostic accuracy. There was no single kit that performed better on every criterion than the others. The Orion kit was a good all-round performer, whilst the Roche kit was excellent at detecting positive results, although it had a slightly raised false-positive rate.